If you are like most automotive businesses you need to add some additional services to increase foot traffic and add profitability. It does not matter if you are an auto repair business attached to a new car dealer or a stand alone service or inspection station. Additional services can only add to your current business. To look at the ability of additional profit centers to both drive traffic and add to the bottom line one just needs to look at Dent Wizard. Dent Wizard was originally started as a add on service and grew in 10 years to be nationwide with over 1500 locations. Dent Wizard took the idea of making small dent repair more affordable by avoiding the traditional body shop methods of extraction, filler and painting. Dent Wizard was started as a paint less dent removal system where they use specially designed tools to gently massage out dings and dents. Now you might ask yourself, what does Dent Wizard and paint less dent removal have to do with headlight restoration. They are both additional services for automotive related service businesses. They are both very successful, in great demand as they provide an economic solution, and they both improve the appearance of your automobile. This is where the similarities end, though. Headlight restoration is also greatly improves night time driving safety and driving safety for both you and other drivers. With this in mind, headlight restoration is potentially an even more profitable and suitable add on service. Whether you are an automotive car wash, service station, or inspection station, up selling a customer to a full headlight restoration is very easy and requires no selling skills. Employees can quickly be trained in how to do the headlight restoration and to look for cars with cloudy headlights. This is an essential add on service for any service shop that does inspections. Many states require a car with dim or low light emission from the headlights to fail inspection. Replacing these lenses can easily cost customers $500 or more for the pair. Customers usually do not have an extra $500 laying around and will jump at the chance save some serious cash. When shown some amazing before and after pictures most will say yes and pay $80 - $90 or more to have their headlight lenses restored. Once you see the profit potential and the increase in floor traffic ( you know that every highly satisfied customer will recommend the service to their friends), you may want to venture outward. Many of your local auto dealerships are in need of this headlight restoration service. Their used car departments are gold mines and many will have a continuous supply of work for you. Some will regularly give you 10 to 30 cars a day to do. There are also car washes where every customer there is there for one purpose, to make their car look new. Obviously if someone is taking the effort and expense to have their car professionally washed they would definitely want their yellow and cloudy headlight lenses restored to new for a reasonable price. Headlight restoration takes old cloudy lenses that were once discarded and restores them to new again for a fraction of the price of new replacement lenses. 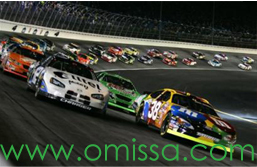 It is a patented process and will definitely be a great addition to any automotive service oriented business looking for great additional profit and traffic building services. Additional profit centers can also help pay the bills during slow months and keep your employees busy.